Kahotan mentioned that Nendoroid Tohka can be displayed in all sorts of different ways, ranging from cute poses to combat poses. Shuu-chan from the Planning Team also gets “interviewed” by Kahotan to help her describe the good stuff about this lovely Nendoroid. Kindly visit the source page below for more close-up shots of the valiant heroine. 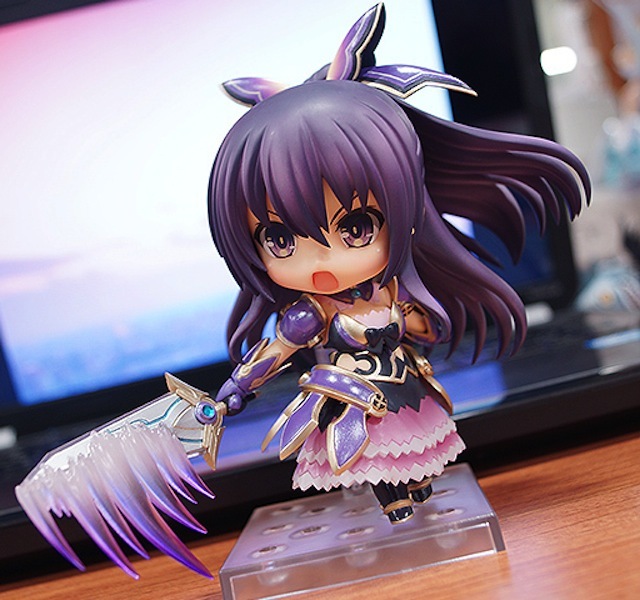 This entry was posted in News and tagged date a live, nendoroid, yatogami tohka. I never did like “Date A Live” (another generic harem and overexposure of moe), but I do have to say that this Nendoroid is quite cool. Though Tohka does look a LOT like Yuela from the visual novel, “Kamidori”.